We are very pleased to announce that with the day 09.01.2014 our lovely Sari became a mommy for the first time! We are happy to announce that 'Sari' Salford Midari z Arislandu has been mated to 'Beatles' -Thendara Frozen Asset. This lovely couple combines top Uk Show Champions and Crufts Winners. Dam is a Polish Junior Ch so as Polish Champion, Future sire to our puppies is well known Beatles , proven stud dog of a very quality progeny, multiple puppy, junior and graduate classed winner in UK, so as winner of Juniors, Graduate and Limit class in row at Crufts, 2 'CC and 3 r'CC. Puppies hopefully born beggining of January. If you are interested in this litter you're welcome to make a reservation. HERE you can find pictures of our couple. 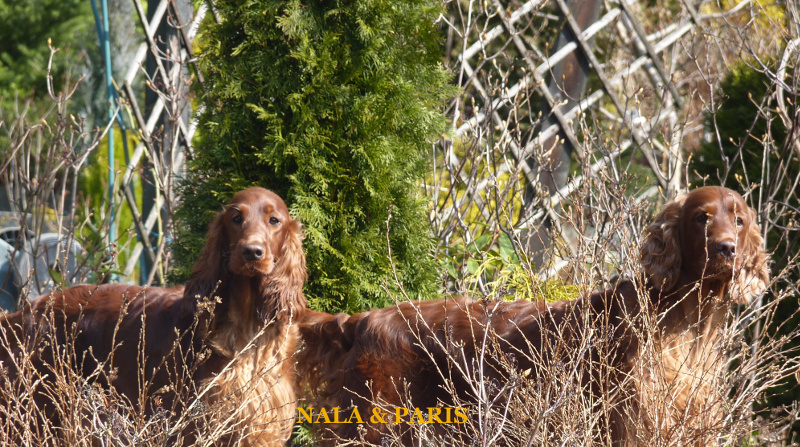 There are some new photos of our girls in the garden!